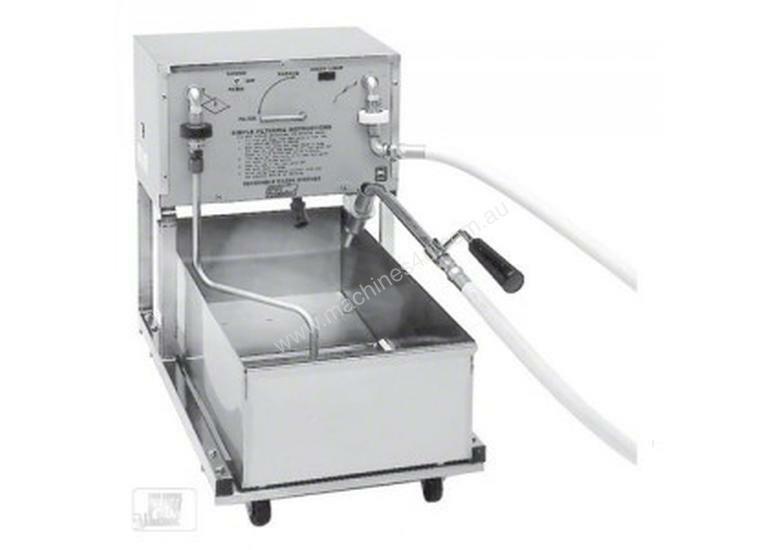 Filter pan and pump assembly enclosure are constructed of polished stainless steel. All other surfaces are nickel plated finish. Welded steel frame mounted on four ball-bearing swivel casters for easy movement. 1/3 HP heavy duty motor and pump assembly. 5 foot (1.5 meter) flexible, sanitary, high temperature return hose equipped with nozzle. Return hose nozzle is nickel plated steel with a non-heat conducting handle. Extra large filter area for large fryer filtering. Heater to soften solid shortening for quicker filter start-up (optional).